Hanoi (VNA) - Prime Minister Nguyen Xuan Phuc’s working group has called for the railway sector to raise its competitiveness in comparison with other modes of transport. Working with leaders of the Vietnam Railway Corporation in Hanoi on inspections among other matters, Mai Tien Dung, Minister - Chairman of the Government Office, said such inspections were carried out to check the implementation of measures to ensure hitting this year’s GDP growth target. The working day with the railway sector aimed to examine the implementation of measures to promote business, to increase transport revenue and passenger and cargo transport. It also hoped to detect difficulties and obstacles in order to find measures to tackle these difficulties. In the first six months of the year, the railway corporation achieved revenue of 3.5 trillion VND (155 million USD), an increase of 3.8 percent compared to last year’s same period, and only 45 percent of the year’s goal. The working group, on behalf of the Prime Minister, said the corporation needed to explain several matters. The first issue is a 12 percent drop of the sector’s revenue in 2016, which was 6.5 trillion VND (289 million USD), compared to 2015. “When compared to other transport types, railway transport is less attractive – in terms of safety and quality. The facility is outdated. For goods transport, storage and loading ports, connections with air and sea transport are not convenient,” said Dung, who is also head of the working group. “The Prime Minister said that leaders of the corporation should think about how to improve all of these elements to raise competitiveness,” Dung said. Another issue was safety and skills of the sector’s staff. 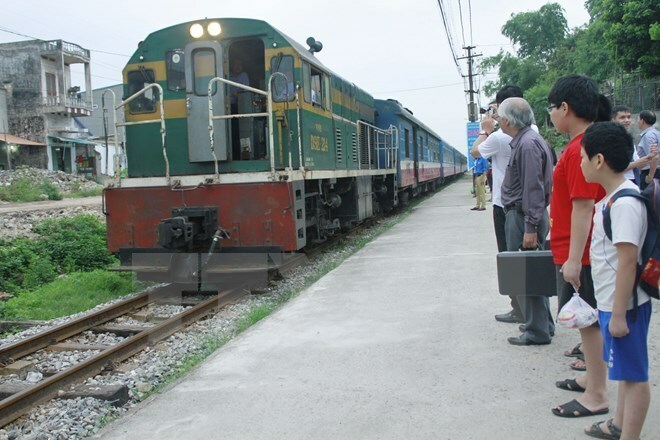 The working group cited recent incidents including accidents at Yen Vien station and an incident when two trains travelled on the same track at Suoi Van station in Binh Thuan province. Investment in the railway sector was also important. “It’s good that the sector has already called on investment in storage, loading means and connecting railways with industrial zones, airports and sea ports,” Dung said. In response to Dung’s comments, Vu Ta Tung, Director of the Vietnam Railway Corporation, admitted that the railway sector faces fierce competition on price with air, road and waterway transport. The price depended much on the railway sector’s infrastructure, he said. "Many officials of the railway sector still have backward thinking," Tung said. However, to change the backward thinking and develop the sector, it would be a long road, not a short one, he said. The Prime Minister asked the sector to pay attention to managing and improving railway crossings.